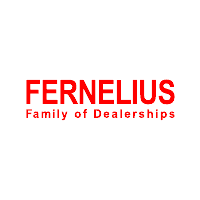 Fernelius Auto Group welcomes Michigan drivers to shop and visit our family of full-service car dealerships located throughout the Northern Great Lakes State! Whether you live in the Cheboygan, Sault Sainte Marie, Gaylord, Petoskey, MI area, or anywhere in between, there is a Fernelius Auto Group nearby, where you can shop for a new or used car or obtain quality auto service for your vehicle. Our team of auto sales, finance, parts and service staff knows what matters to Michigan drivers; that is why we provide a friendly and no-pressure environment, whether you are shopping for a new or a quality pre-owned vehicle. Here on the Fernelius Auto Group website, we invite you to explore our family of Northern Michigan car dealerships, where you can not only shop our complete new vehicle inventory, but apply for financing and contact any one of our dealerships for more information. At each of our full-service dealerships, we have in-house financing, service and parts teams, as well as sales associates who can assist you in your new or pre-owned car search! Reach out to Fernelius Ford Lincoln, Fernelius Toyota or Fernelius Chrysler Dodge Jeep Ram in Cheboygan for all of your automotive needs. Drivers in the U.P. can turn to Fernelius Hyundai While In Sault Ste Marie. If you drive a Chrysler, Dodge, Jeep, Ram, Ford, Hyundai or Toyota, then the Fernelius Auto Group of dealerships can be your source for genuine OEM parts for your vehicle. Our parts departments stock authentic OEM components, fluids and accessories, while each of our auto service centers in Michigan are staffed by ASE Certified and OEM factory-trained technicians to ensure your car, SUV or pickup truck receives the care and service expertise it deserves. Remember, if you live near Sault Sainte Marie, Cheboygan, Gaylord, or Petoskey, turn to your local Fernelius Auto Group dealer for all of your automotive needs!